If you are aiming to try and increase the number of eyes on your blog posts, this article is for you. 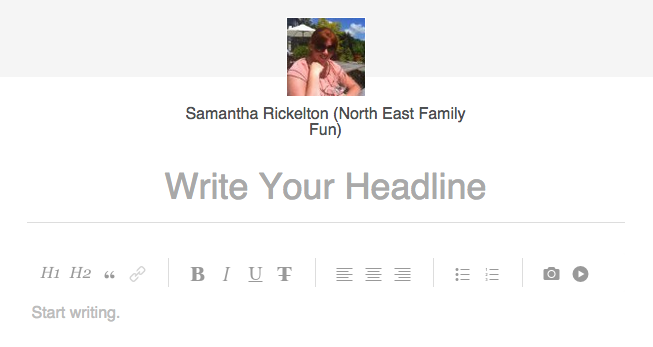 Most blogs have their own facebook page these days and this is an obvious place to start. Link dropping is the worst thing you could do though so make sure you write a short introdustion to the post that will make the reader want to click more. I will often add my own photo that I feel is the best to showcase my post rather than the one facebook chooses for me (you can click 'remove link' and then add a photo instead). You can work out the best time to post for you but for me it is usually around 2pm or in the evening. Make sure you tag any businesses/people that have been mentioned in your post too for maximum exposure (Find North East Family Fun on facebook here). *The Inspire Network - The Network for NE Ladies in Business. They have a blog sharing post on a Friday. *Keep the Kids Occupied and Mums in Durham are also sometimes relevant. Twitter is a wonderful place to share blogposts. First of all, make sure you shorten your links using bit.ly so you have more room to tweet! I tweet a few times per post - a couple will tag the people involved in your post (anything more than this and it can get annoying), a couple will use hashtags - I like #NEbloggers and #NEFollowers and a couple will include images from the post which always seem to get the best response. Don't tweet all of your tweets all at once - make sure you space them out. You can either remember to tweet or use a scheduler such as twuffer. I have written a whole post featuring how to get the most out of networking hours (check it out here) but for an hours work I will often manage over 1000 new blog views and will increase my twitter followers. It is certainly worth taking part in a few networking hours every week if you can squeeze them in. Not sure where to start with Linky's? This guide from You Baby Me Mummy will tell you all you need to know. Blogging is usually very visual (although I am aware this post contains minimal images - haha). Sharing a few snaps from your post with a comment mentioning you can read more on your blog today will send more traffic your way. Instagram doesn't allow clickable links so make sure you have a direct link to your blog homepage in your instagram profile. My blog posts auto publish to google+ which does increase a little bit of traffic however I have found sharing posts in relevant communities and using hashtags works much better. If I post a recipe, I will share in google+ food communities and if I post about travel I will post in travel communities - you get the picture! This method generally always increases the amount of +1's, comments or shares I receive. It works even better if you are active in the communities which is something I need to work on! Linkedin is a network for professional people so only share your best content that will get you noticed here. If you are short of time you can easily add a blog post to you 'professional gallery' by clicking on the small square next to 'add position' and pasting the URL of your post where required. If you have a little more time you can create a post on linkedin. You are able to do this by clicking on the pencil symbol at the top of your home page. I usually add a few of my best images and write a couple of paragraphs summarising my post with a clickable link back to my blog to 'read more' at the end. This method usually increases engagement when compared to the above method and Linkedin will send you weekly stats detailing how many people have viewed, liked and commented on these types of posts. I have to say I don't get a HUGE amount of traffic from Pinterest (I do get a little - which is why I keep posting here) but I know other bloggers do. I have an app on my Mac toolbar that allows me to add posts to pinterest in a few clicks so it it pretty easy to do. I have also recently started adding posts to StumbleUpon and one day received over 100 hits from here. (StumbleUpon is also a great site to play with if you are bored). I hope I have provided some food for thought - I would love to hear where you share your blog posts too. What a great post. Very helpful and has given me some great tips for my blog. I mainly use Facebook, Twitter and Instagram but maybe I should try some new social media. 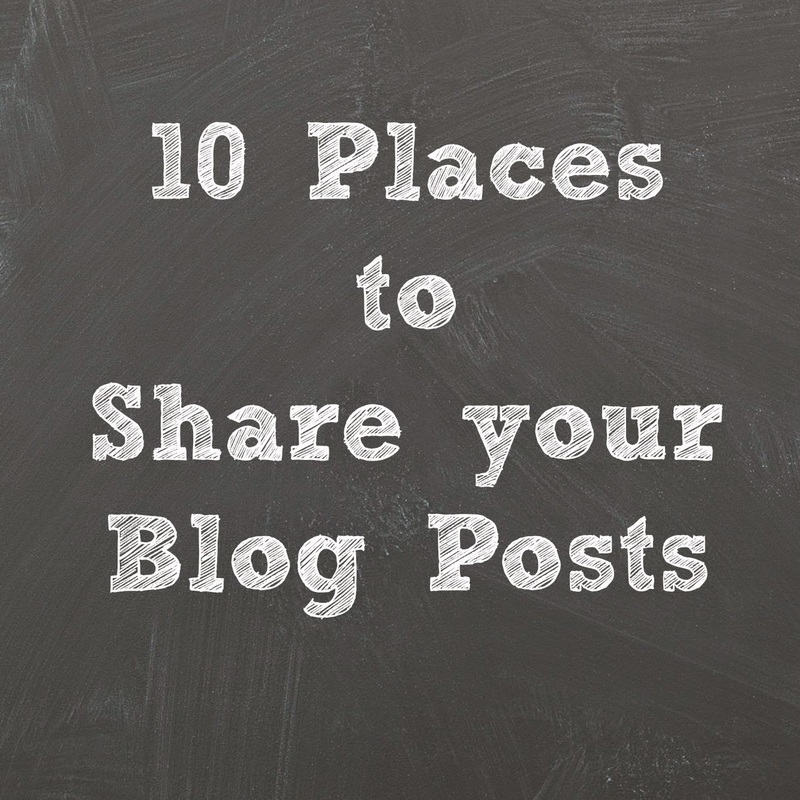 A great reminder of ways to promote our blogs. Thanks for sharing! Thanks that's so helpful. I'm going to join in the list linky today! 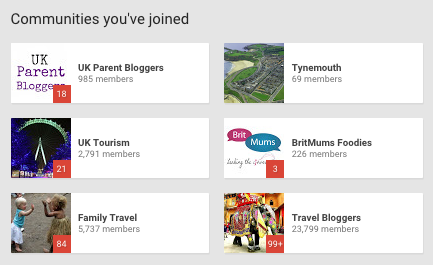 I heartily agree, i think Groups are great on G+ and I use all of the above though i haven't stumbled upon for ages. I usually just put everything into my Stacker and let it post 3 or 4 times a day (it's like buffer but cheaper). I've never heard of stacker - I begrudge paying for anything though! LOL! Some interesting stuff, the problem I have with Stumbleupon is that the vast majority of traffic from there will only stay a few seconds and will put our bounce rate up hugely. Great post, thanks for sharing! I think I need to take the plunge and set up a blog Facebook page. Thanks this is really useful. I do share on Google + but find it very frustrating - my posts all get automatically shared as private, then I have to repost manually to make them public. It's all part of the learning curve I suppose! I'm slowly learning about twitter, really enjoying myself in the process.